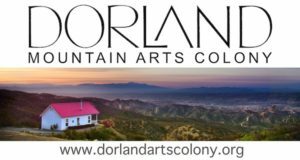 The Dorland Mountain Arts Colony Residency Program is a secluded working retreat for national and international visual artists, writers, musicians and composers. The colony, located near Temecula, CA, was founded in 1979 by concert pianist, Ellen Dorland and environmentalist, Barbara Horton. 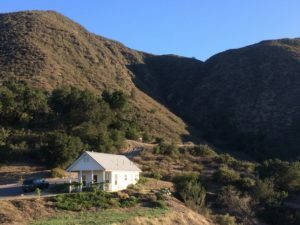 Solitary cottages provide studio and living facilities within the Dorland Preserve, a 300-acre wilderness area acquired by The Nature Conservancy. Dorland Mountain Arts Colony is a nonprofit organization. Its purpose is to deepen the quality of the creative process, enabling its residents to explore their own creative resources without distraction. FSU Art MFA ’17 Kathleen Saunders will be in residence at Dorland for the month of June. Her work, which explores environmental concerns and the resilience of the land, will use photographs, drawings, and land art to address the drought in California. The land at Dorland is particularly relevant to Kathleen because it burned in the Eagle Mountain Fire of 2004, which consumed 9,000 acres over the course of six days. Kathleen’s residency will last May 25 – June 25, 2016.